Many camping enthusiasts enjoy the comfort of canvas tents while they are out in the wilderness, camping sites, festival or even in the backyard. When I was younger I have fond memories of the first time I was allowed to camp in the yard overnight. Although I shared the tent with my best friend it was a bit scary, but great fun and I felt just so grown up! Canvas tents are durable and can withstand rain and wind and extreme weather conditions much better than standard tents. They are generally well constructed using quality materials and are simple to set up. 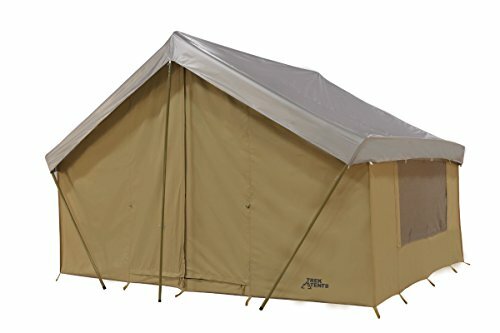 Perfect for the most common uses of a canvas walled tent, these are usually shelter for hiking, hunting or fishing trips. 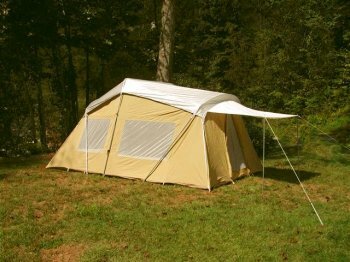 Canvas tents offer sturdy walls, floor and roofing. They are usually accompanied by metal bars to secure the tent on site. With canvas you will definitely get what you pay for. 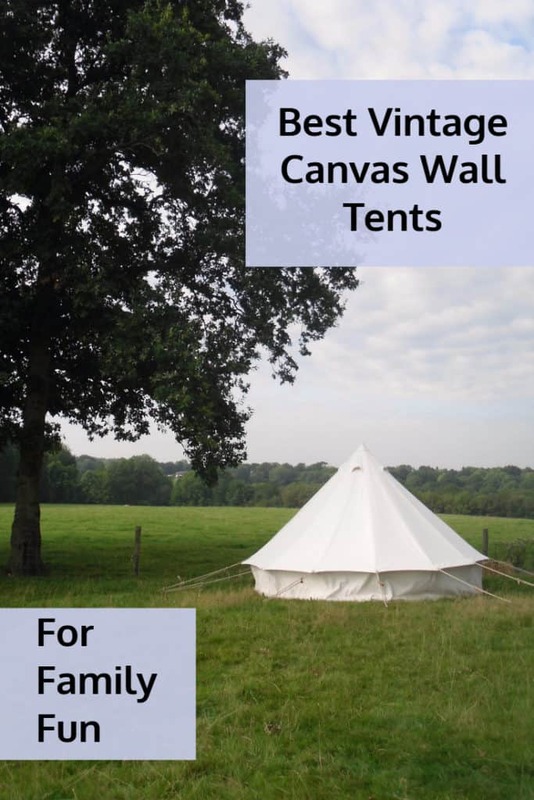 Canvas tents offer heavy duty zippers and high walls and ceilings. They are designed for the most comfort in camping by offering wilderness buffs an opportunity to stand up, walk around, stretch out or even sit down in a chair and relax. 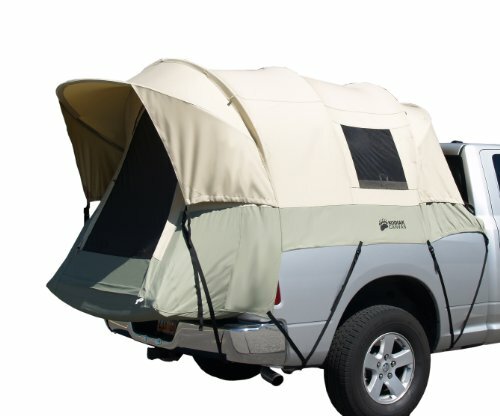 The high ceilings provide additional comfort to campers while also providing extra headroom. This comes in very handy, especially for the taller individual. When shopping for canvas tents, it’s a good idea to decide on a budget before you start browsing. If you know how much money you can spend, then you will be better prepared to make a decision and will be less likely to overspend. After all, you will need to save some money for the additional camping supplies that you will want to take along for the trip. It’s always a good idea to work out a reasonable budget anytime before you make a substantial investment. When shopping around, keep in mind that canvas tents are more expensive than other models and can be priced at several hundred dollars each. There are a few bonus features to look for in canvas tents, including the presence of a backdoor to allow more air to circulate during the warm summer months and a tent bag for convenient storage and transportation. 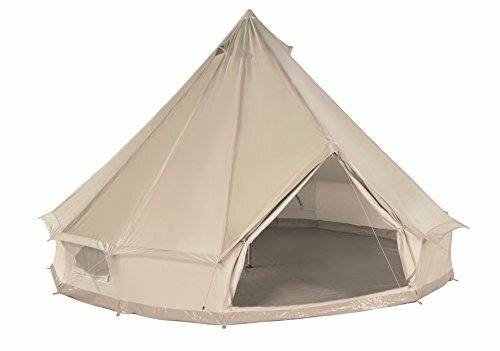 If possible, purchase a white canvas tent because the white color reflects light inside much better than colored tents. Before making a final decision, you may want to consider the weight factor. If a smaller lightweight tent will work for you, then consider that option as well. 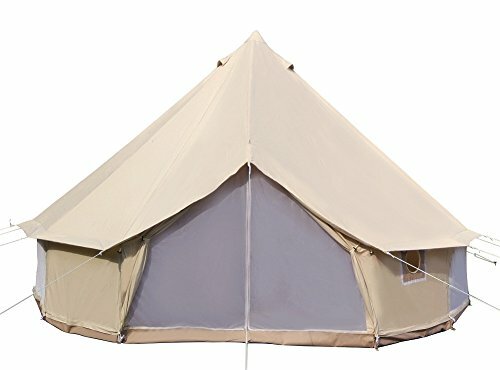 Canvas tents are more expensive, but they are a true investment. A quality product, with proper care and maintenance, should last for up to 20 years or more. Now, that’s a lot of camping. Larger tents are much heavier and can be more difficult to set up but, if that’s what you need, then go for it. 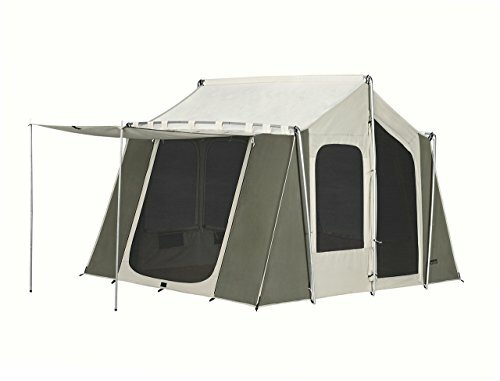 Can be more expensive compared to a synthetic tent of a similar size.